All the off-site links that appear throughout the Workshop gathered in one place for your convenience. I have tried to group them into sections with similar content and interest. Like a lot of the internet, some of these sites are fairly transitory. 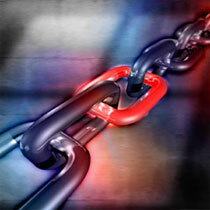 If you find a broken link, or rather if you don′t find it, please let me know and I will try to fix it. Thanks. The Hobbyists Machine Shop - Dan Kautz presents reviews, projects, visitors pages and more. Well worth a visit. If you are interested in engineering, machining and model making there will be something of interest here. Don′t miss Ramblin′ Dan! Steve Bedair′s 9 x 20 Lathe Site - Projects and improvements for the 9 x 20 type Chinese lathes. Ideas will be applicable to other makes and models. Other interesting items on telescopes, build your own bandsaw and gunsmithing. 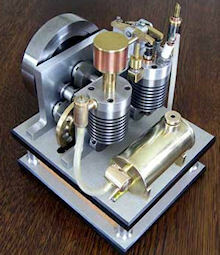 Jan Ridders Modelbouw - Excellent site in Dutch and English for Stirling engines, flame eaters and small steam engines. There are some very good plans on the site some as PDF′s and some available by e-mail request. 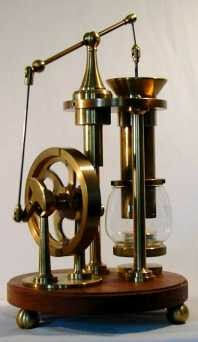 Stirling Engines - These engines by Jos de Vink are works of art apart from being fine examples of engineering. This is a link to "mdevink" YouTube page which has several good videos of the engines. Well worth watching is a 15 minute interview with Jos de Vink. Frets.Com Machine Shop - Frank Ford shows us around his workshop. Many useful projects and helpful hints and tips. LaymarCrafts Woodturning - Richard Stapley provides a very informative site covering many aspects of woodturning. The "Hints n Tips" page alone will keep you busy for hours. I can also recommend the links page which at present has nearly 4000 woodturning related references. Home Workshop - Harold Hall presents workshop hints, projects and a detailed index of the articles he has written for Model Engineers Workshop. One time editor of that magazine and regular contributor he offers knowledge and a little personal history. 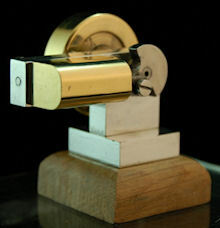 CGTK - Dr Al′s Miscellany - Interesting site has several projects for the beginner with a small lathe. Delve a bit deeper and there are some useful calculators for things like mini-lathe change wheel setups and scale printouts. Also a section on geocaching should you be into searching for hidden boxes! Tools and Mods - Collected articles for home machine shop projects. Has some useful drawings and a section keeping and eye on various auction sites for buying tools online. Workshopshed - Based in a garden shed just like mine, only Andy′s is green. Andy gathers together articles on everything from aluminium foundry work to welding via clocks, electronics and anything else that can be done in a shed! He obviously spends a lot more time in his workshop than I do in mine. Well worth a visit or via Twitter @Workshopshed. www.john-tom.com - John Tomlinson has an excellent collection of on-line information about RC planes and boats, fishing and model jet engines. The site has many free plans for projects of all types most notably all of Elmer Verburg′s engine plans are available to download. GadgetBuilder - John Moran has a very interesting site with plenty of workshop projects. Many useful mods for mini lathe and other workshop equipment. A very interesting and detailed article on drill sharpening in the workshop. chuck-it-in-the-pot - Rik Shaw, a regular contributor to the Model Engineer forums blog pages. Some interesting engines and construction projects in the archives. British Reaction Research - I used Carl Wilson′s design to make my version of a stepper controlled rotary table. This is his blog mainly dealing with amateur rocketry but interesting side projects along the way. Stub Mandrel - Neil Wyatt′s (Editor of Model Engineers′ Workshop) web pages, interesting articles on astronomy, workshop practice and modelling generally. Woody′s Workshop - Alan Wood presents a range of projects from clocks to CNC mill accessories plenty to read and some interesting links. Andy′s Machines - Andy has made a Weebly based website on using and modifying the WM180 lathe, some very useful projects easily modified for other lathes. Covers some of his other machinery as well, a Perris lathe and Dore-Westbury milling machine amongst other useful articles. Bedroom Workshop - Steven Vine has some useful projects for the Warco WMT 300/2, info on Clarkson Cutter Grinders, Perfecto Shaper and interestingly an item on how to prevent your upstairs workshop ending up in the lounge! A few construction articles for steam engines and tooling. Steve′s Workshop - A collection of projects by Steve Bodiley covering steam and stirling models, RC flying, cars, woodwork and locos. There is also a drawing index amongst other useful items. Accugroup - Supplier of nuts, bolts & screws of all types. Small quantities from online shop. Also bearings, gears, belts and pulleys. Aluminium Warehouse - Large stockist of aluminium products and tools. Bar, sheet, extrusions and Ecocast plate. Stocks metric and imperial sizes. Will cut some products to length and cut plate to specified size. Delivery can be pricey for small orders. Arc Eurotrade - Machine tool supplier, tooling, CNC parts. Quick mail order service. Axminster Power Tools - Machine tools, hand tools, woodworking, consumables, quick mail order supplier. Huge range, the catalogue is worth getting, it will keep you in reading for days. CUP Alloys - Supply soldering / brazing supplies, solder, fluxes and equipment. Elder Engineering - Supplier of specialist plastics, will provide and ship small quantities for the model engineer. EMVIO Engineering - Machine tools, quick change tooling system, CNC accessories controllers and software, 3D printers, machine tool design. Factory 3D - 3D printing supplies and kit for the Prusa i3 style printer, good after sales service and help via e-mail. JB Cutting Tools - Suppliers of lathe and milling machine tooling, carbide inserts, parting systems, drills, mills etc. Usually have stand at major shows but good on-line shop. Jenkins Steel - Online metal store, ferous and non-ferous stock. No minimum order. Will supply small quantities for model engineers. Prices shown include postage and packing. materials4me - Good supplier for metals and plastics. Good info given on materials properties. Mainly aluminium and stainless steel but a good range. No minimum order, cut to convenient sizes with sensible postage and packing rates, free for large orders. Part of Thyssen Krupp group so a reasonable pedigree in the metals business. The Thyssen Krupp main materials site can be found at thyssenkrupp Materials UK if you need something in larger quantities. Mintronics - CAD system software suppliers. UK agent for Alibre Design 3D CAD and CAM software. Training and seminars for CAD software. Supplier of new Alibre Atom 3D hobby software. 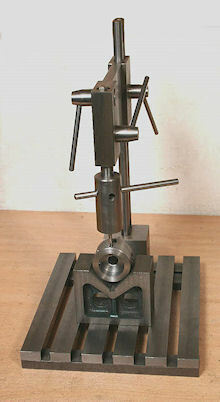 MKC Tools. - U.S. based supplier of Trexon Tachulator the RPM readout that I fittted to my mill. Very helpful advice by e-mail. Model Fixings - Screws, bearings, glues etc. Mainly for the R.C. modeling enthusiast but much that is applicable to the small scale model builder particularly useful supplies of small allen headed screws. M-Machine - Metals for model engineers, ferrous, non-ferrous and plastics also model engineering to order if you don′t want to build your own loco. Prusa Research - 3D printers and kits, lots of useful info even if you don′t use their kits. RDG Tools - Milling cutters, drills, reamers, enginering consumables, spares, toolposts, chucks, measuring equipment, mail order. RDG have also recently taken over Myford and now supply spares and used machines. It is rumoured that they are designing a new Myford lathe. Ship Wright Shop - Large range of ship kits, materials, books, R.C., motors and steam power plants. The Toolpost - Woodturning tools and consumeables huge range of tools, finishes, DVD & books, abrasives, timber blanks, lathes etc. Warco - Warren Machine Tools - Lathes, milling machines, bandsaws, drill presses. Industrial to domestic, together with all the associated tooling, measuring equipment and accessories. Meridienne Exhibitions Ltd - host the Midlands Model Engineering Exhibition at their Leamington Spa HQ and organise the London Show at Alexandra Palace. The International Model Boat show and various model railway events are also arranged by Meridienne. Model Engineer & Model Engineers′ Workshop - Model Engineer has been published for over 100 years, Model Engineers′ Workshop has some catching up to do having only been around for 20 years. The website has lots to offer news, copies of old plans and articles, subscriptions, forums, items for sale etc..
9x20 Lathe Group - Yahoo group for users of the 9 x 20 range of lathes. Re-build manuals, improvements, tooling, help and advice. Much of the information is applicable to any lathe, particularly far east imports. Plenty of information about general workshop practice and loads of links to members own web sites. Engineering in Miniature - Monthly magazine, covers all aspects of model engineering. BoatLinks.Com - Index page of links, full size marine, sport, chandlers etc. Maker Pro - Web based resource for electronic and robotic projects featuring Arduino and Raspberry Pi. Woods Hole Oceanographic Institution - Details of their research vessels including plans and sailing schedules and plenty of interesting reading about their various research projects. UK Workshop Forums - Very active forum for all aspects of woodturning. Frequented by professional and amateur alike. Very friendly group. There are many other forums dealing with all aspects of woodworking. Model Engineering Website - A collection of articles, editorials and adverts. Loads of information and useful downloads, plans and tips. Home Model Engine Machinist - Great discussion forum covering all types of model engine making. Includes plans and detailed build articles all well illustrated with excellent images. Good advice to be had particularly in respect of model I.C. engines. Jorgenson Steam - Information on models and full size steam engines by Pat Jorgensen who also runs the forum above. MYCNCUK - Lively UK based forum for the CNC enthusiast. Covers lathe and mill conversions, modification and restoration of commercial machines and has a very large section devoted to new build routers and mills. Covers all aspects from mechanics through electronics with excellent buying advice. Is home to some very clued up CNC experts. Paddlesteamers.info - Directory of paddle steamers with many pictures and information on current whereabouts and preservation status. Esso UK Tankers - Auke Visser has several web sites with information about merchant navy ships, this particular resource was of interest to me as I found a couple of the ships I once sailed on..
Kempton Steam Museum - If you want to see the biggest working steam engine in the world, this is the place to go. 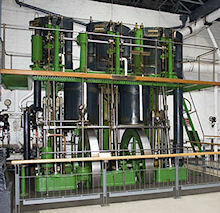 Once pumping water to London the two Worthington-Simpson triple expansion engines are awesome. One engine is working and the other open for guided tours and yes the engines really are big enough for a guided tour! Site is also home to the Kempton Steam Railway. Plenty of free parking but check that the engines will be in steam before visiting. National Maritime Museum - Major resource for the marine modeller and historian. Apart from the main museum the Cutty Sark and Greenwich Observatory are close by so plenty to see. Budapest Transport Museum - Covers everything from cars to ships. A very large section on the development of Hungarian Railways with many excellent glass case models some of which are huge, together with some full size locos and rolling stock. Buckinghamshire Railway Centre - a 25 acre working Steam Museum with one of the UK's largest collections of locomotives, rolling stock and railway memorabilia. Near to Aylesbury the site is also home to the Vale of Aylesbury Model Engineering Society and The Wightwick Hall Restoration Group. Worth a visit, check to see what special events are on including steam train rides. Chiltern Open Air Museum - Not particularly engineering but has some interesting exhibits on industrial history regarding furniture making, farm machinery, brick making and the like. Hosts regular event weekends including Roman gladiators, classic cars and heavy horses. All the buildings are interesting and during holidays there are activities for the kids to enjoy. Hungarian Railway History Museum - An open air museum in Budapest, away from the normal tourist areas but great for the railway enthusiast. Has many preserved locos some operational, large 7¼ ground level layout, model layouts, preserved rolling stock, ride on turntable and huge preserved roundhouse. Exhibit labels have basic details in English but the detailed descriptions and history are in Hungarian. On site catering, souvenirs, rides etc. Closed on Mondays and November to March. Weekends are best as everything is open. Transport links include bus and tram but you will need to walk the last couple of blocks. Mainline train services run a limited service to and from the museum. See also Friends Of The Museum - which has a gallery of all the locomotives and rolling stock. Not a definitive list just a few that have come to my attention or feature elsewhere in Journeyman′s Workshop. Ickenham & District Society of Model Engineers - This is probably my local club, have visited many times, have a very good ground level 3.5" and 5" track, nice club house and good winter lecture programme. Harlington Locomotive Society - Also fairly close to me and in my youth I remember driving a 5" King round their raised track, very enjoyable. Bristol Society of Model & Experimental Engineers. - Very active model engineering club in the south west of England. BSMEE organise the now yearly Bristol Model Engineering Exhibition at Thornbury. Show is well worth a visit. Gas Turbine Builders Association - regular visitors to many shows always have interesting and loud demos. South West Truckers - If you are into R/C scale road vehicles, this is the place for you. The club put on interesting displays particularly at Bristol. Guild of Model Wheelwrights - Always a fascinating and interesting display at the many shows they attend. Stirling Engine Society - Fascinating engines, always a good display at shows. Surface Warship Association - Amazing detail on working models. Guildford Model Engineering Society - Have been to their summer Steam Rally and Exhibition in Stoke Park a few times, always a good show with a few big name traders and other club stands. Model Engineering Clearing House - For a more detailed list of clubs and societies. Also home to the Lost Models Directory and a good discussion forum. WordPress - Probably the No.1 blogging and content management system on the Interweb. Thousands of free themes to choose from or you can write your own. I use it to provide the Latest News section (BLOG) of the Journeyman′s Workshop. If I can make it work anyone can. Underscores - A starter theme for WordPress with very little styling but with the outlines of all the necessary templates to get you going. It is from the same people who created WordPress so it should be OK. If you go to this link you can enter the name of your theme and download a purpose made set of files ready to fill in the details. CSS Play - Excellent CSS Demos, the menus in an earlier version of Journeyman′s Workshop were from one of Stu Nicholls designs. There are loads of different menu designs, galleries and page layouts. W3 Schools - Web tutorials and lessons, if you need to know the whys and hows of HTML this is a useful place to start. Zen Garden - CSS Examples. It is amazing what you can do with CSS. Here the same text is used as a basis for hundreds of different pages submitted by web designers to show off their skills. 1&1 Hosting and Domains - This is where the Journeyman′s Workshop is hosted. They offer packages to suit most needs with a good uptime guarantee and 24/7 support. The British Merchant Navy - Ship pictures, history, contacts useful resource for naval research. 20 Years Behind The (Antenna) Mast - More information and stories concerning T.S. Glen Strathallan. 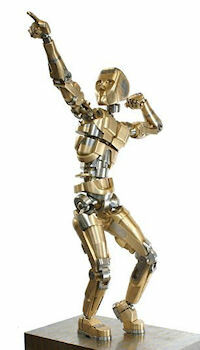 Zoho Artforms - Articulated metal models, 500 precision engineered parts in bronze and stainless steel, limited edition to buy or of course you could always make your own!